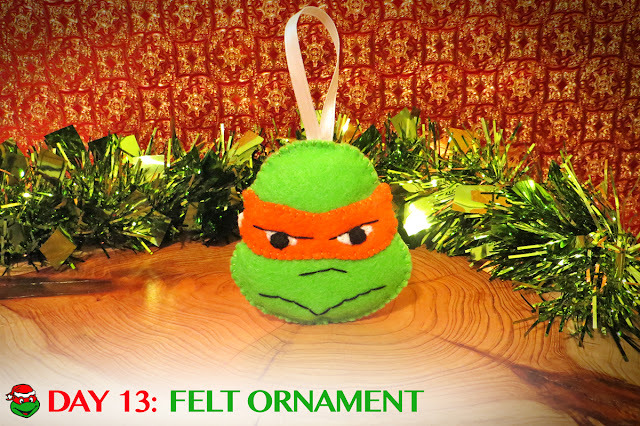 Let the countdown 'til Christmas continue with DAY 13! Companies release lots of TMNT yule log treasures during the holiday season. From stockings to ornaments, there's so much good stuff. But, sometimes the best stuff isn't made by a company at all. It's the custom creations that really shine. While perusing Etsy for Turtle gear, I came upon the cowabunga creations of BlackroseBaby. The ornaments are simple and adorable - something a lot of the mass produced merchandise seems to miss. 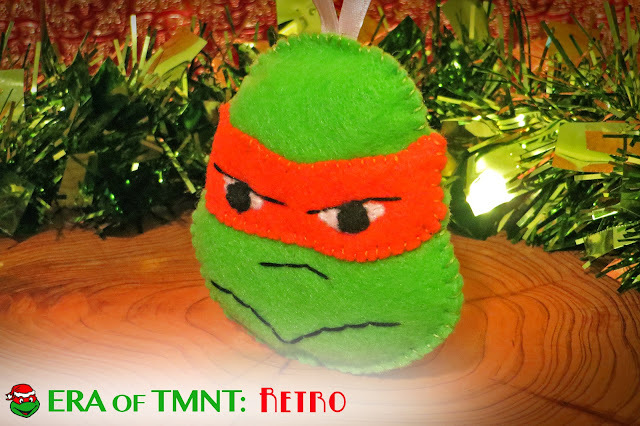 The felt Michelangelo version captured my attention immediately - reminding me of the classic TMNT ice cream popsicles that owned the summers back in the 1990s. No, that doesn't mean you should start licking it. There are no bubble gum eyeballs either, so don't go biting those peepers. But, trimming your tree with BlackroseBaby's ornaments will still muster up nostalgic memories of racing to the ice cream truck, eager for a treat. 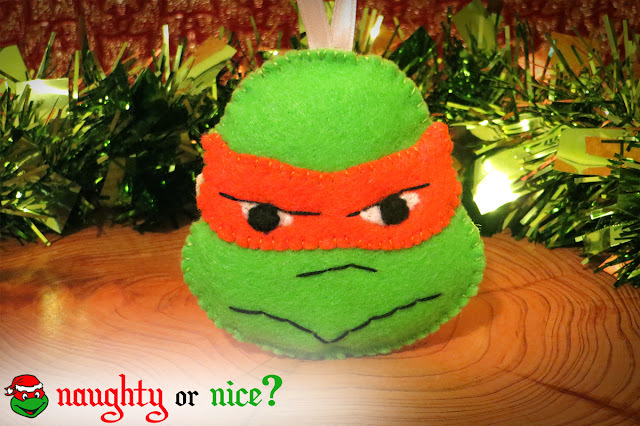 Handmade with care, BlackroseBaby's TMNT ornaments are a holiday winner. They're one-of-a-kind and inexpensive (shipped for under $10). Make more room on your tree for mutants and grab these dudes at her shop. They make great gifts too. 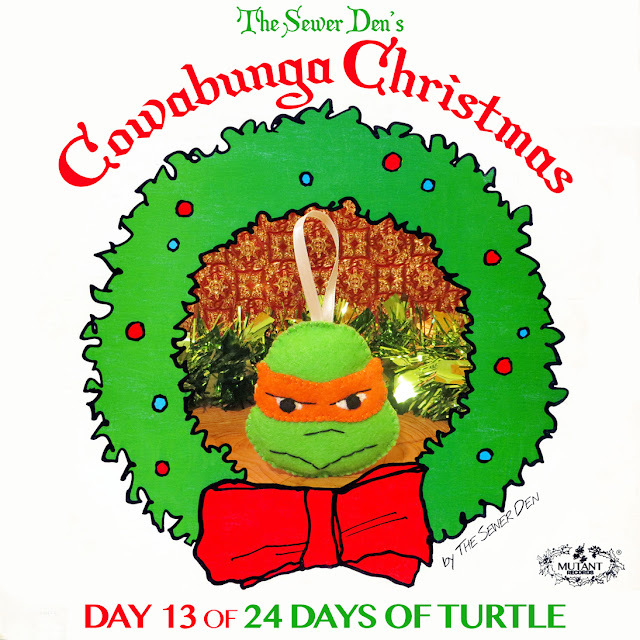 Check back tomorrow for DAY 14 of Cowabunga Christmas! Can't wait until then? Take a trip with the Ghost from Christmas Past to see what The Sewer Den put on display on December 13th in 2013 and 2014. Now that's one tasting looking ornament. Looking through their store, I'm seeing quite a few Star Wars ornaments I wouldn't mind hanging on my tree. Turtle Power AND the Force? We live in good times.